As per the report published by TechCrunch during later part of last week, Go-Ahead Group Plc has entered into a partnership with blockchain startup DOVU to launch a loyalty program in the form of tokenized rewards system for all rail customers. Go-Ahead Group Plc is one of the major public transport providers in the United Kingdom. The company is listed on the FTSE 250 which is an index where the top 101st to 350th largest companies are listed on the London Stock Exchange. The Go-Ahead group gives more than a billion rail and bus journeys in the U.K. every year. Although Go-Ahead Group Plc is one of the dominant bus service operators in London, the Group’s services also account for approximately 30 percent of all U.K. train passenger journeys. In the recently launched reward program, DOVU is all guns to utilize the concept of blockchain-based rewards platform on Go-Ahead’s extensively-used Thameslink and Southern Rail services. The program would be using the native ERC-20 token named ‘DOV.’ The crypto-powered incentivization scheme would reward the members who would share their travel information, with the program specifically focusing on the beginning and destination of commuters’ journeys. The platform would be used to study the travel behavior of the commuters and would reward the passengers with loyalty tokens for changes in their travel behavior, along with promoting the sharing of travel data information. 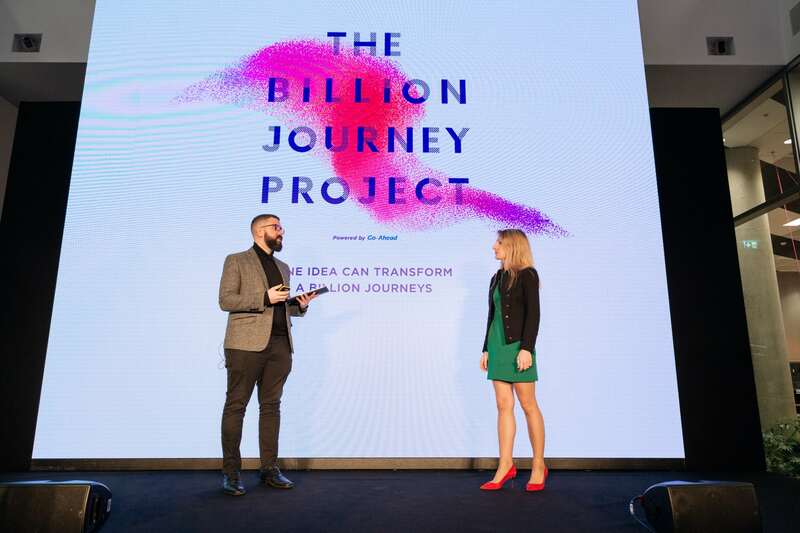 Earlier, Go-Ahead had launched an accelerator scheme named ‘The Billion Journey Project’ in which DOVU was the participating finalist. The scheme was focused on evolving innovative proof-of-concepts and measure resolutions for the transport industry. The current partnership follows DOVU’s such participation in the scheme. Further, according to report, DOVU had earlier entered into a partnership with the leading automobile manufacturer, BMW, for coming out with a rewards system that issues tokens to the drivers for keeping a record of the mileage with respect to their leased vehicles. Such integration of blockchain with the automobile industry is not new. Earlier this month, Deutsche Bahn AG (DB) which is a major German railway operator had entered into a partnership with blockchain integration platform Unibright to explore opportunities of tokenizing its ecosystem.